LSA students joined approximately 1200 other student delegates who met to discuss, debate, and resolve issues and concerns that mirror topics undertaken by the United Nations. HAMUN 44 is officially in the books! 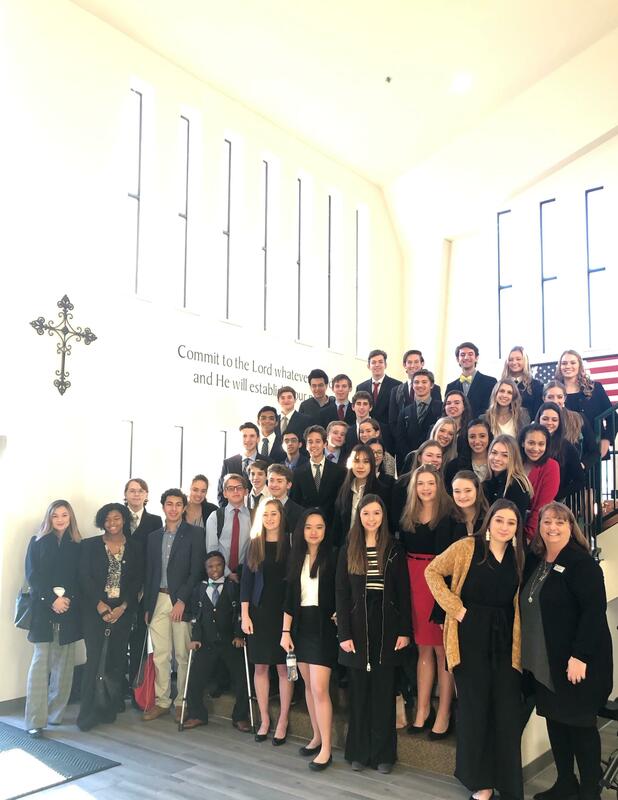 43 LSA student Delegates traveled with Ms. Kahre and Mr. Buchman to represent 5 countries, 8 special Crisis Committees and the HAMUN Press corps at this year’s conference held January 24th and 25th at the University of Houston. LSA students joined approximately 1200 other student delegates who met to discuss, debate, and resolve issues and concerns that mirror topics undertaken by the United Nations. Students are required to research and write a position paper that represents their country’s position prior to the conference. Over the course of the two days, students met in committees and used parliamentary procedure to debate, discuss, and try to come to a consensus on how to resolve pressing issues such as the economic and political crisis in Venezuela or the privatization of the Space program. Paul LeBlanc was awarded one of the approximately 40 awards given. He earned an Honorable Mention for his work on the ICJ (International Court of Justice). All of the students came away with a greater understanding and appreciation for the skill of diplomacy and how countries work together to not only solve problems but to truly understand one another. Great Job Pioneers!